All the hubbub over Syria is all about oil. And if you don’t believe me, believe John Bolton. If the US were really concerned about spreading Democracy in the Middle East, we’d be helping the Occupy Gezi movement oust Turkish Prime Minister Ergodan and condemning his violent suppression of human rights, rather than assisting the Free Syrian Army. And the only reason the powers controlling the US would be interested in intervening in Turkey would be if Turkish protesters or government forces shut down the highly-productiveKirkuk-Ceyhan oil pipeline, which goes from Iraq through Southern Turkey. All of the media has been atwitter about whether or not the US should get involved in the civil war unfolding in Syria by supporting anti-government forces. The atrocities recently committed by the Free Syrian Army are reminiscent of the kind committed against the Soviets in the 1980s by theAfghan mujahideen, whom we actively funded and supplied with arms. (Remember the movie Charlie Wilson’s War?) It should be worth noting that the same mujahideen fighters we funded to fight our enemies for us in the 1980s became our enemies even before the 9/11 attacks. 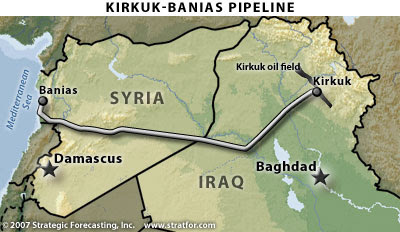 The Kirkuk-Banias pipeline runs from Kirkuk in Northern Iraq, to the Syrian town of Banias, on the Mediterranean Sea between Turkey and Lebanon. Ever since US forces inadvertently destroyed it in 2003, most of the pipeline has been shut down. While there have been plans in the works to make the Iraqi portion of the pipeline functional again, those plans have yet to come to fruition. And Syria has at least 2.5 billion barrels of oil in its fields, making it the next largest Middle Eastern oil producer after Iraq. After ten unproductive years, the oil companies dependent on the Kirkuk-Banias pipeline’s output are eager to get the pipeline operational again. The tension over the Syrian oil situation is certainly being felt by wealthy investors in the markets, who are thus dictating US foreign policy. It’s easy to see why the oil-dominated US government wants to be involved in Syria’s outcome. The Free Syrian Army has since taken control of oil fields near Deir Ezzor, and Kurdish groups have taken control of other oil fields in the Rumeilan region. Many of the numerous atrocities that Assad’s government committed against unarmed women and children were in Homs, which is near one of the country’s only two oil refineries. Israel, the US’s only ally in the Middle East, is illegally occupying the Golan Heights on the Syrian border and extracting their resources. The US wants to get involved in Syria to monopolize its oil assets, while simultaneously beating our competition – Iran, Russia and China – in the race for Syrian black gold. Big oil’s ideal outcome would be for US troops to back the FSA’s overthrow of the Assad regime, meaning that sharing in Syrian oil profits would be part of the quid-pro-quo the US demands in exchange for helping the Syrian rebels win. It would be very similar to when the US, under Teddy Roosevelt, backed Panama’s fight for independence in exchange for US ownership of the Panama Canal. But even after numerous interventions, including the kidnapping of Panama’s head of state, the Torrijos-Carter accords gave control of the Panama Canal back to Panama in 1999. The imperialistic approach to Panama turned out to be more costly than it would have been if we had just left Panama alone in the first place. 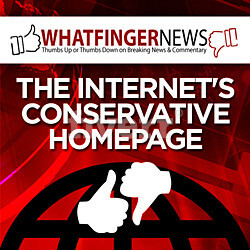 George Santayana said that those who do not learn from history are doomed to repeat it. If we don’t learn from our past mistakes, like basing foreign policy goals on greed-inspired imperialism, Syria will blow up in our faces. Carl Gibson, 26, is co-founder of US Uncut, a nationwide creative direct-action movement that mobilized tens of thousands of activists against corporate tax avoidance and budget cuts in the months leading up to the Occupy Wall Street movement. Carl and other US Uncut activists are featured in the documentary “We’re Not Broke,” which premiered at the 2012 Sundance Film Festival. He currently lives in Madison, Wisconsin. You can contact him at[email protected], and follow him on twitter at @uncutCG.